Positive Airway Pressure devices, also known as CPAP are medical grade breathing devices that help patients with obstructive sleep apnea or other lung complications. The very first time when the continuous airway pressure devices were mentioned, was in the early 1930s. However, only in the late 1980s was the first Continuous Positive Airway Pressure system developed. Ever since, leading medical device manufacturers strive to add new technologies and to improve CPAP therapy offered through CPAP machines. The medical devices use mild air pressure to maintain the airways of the patient open. 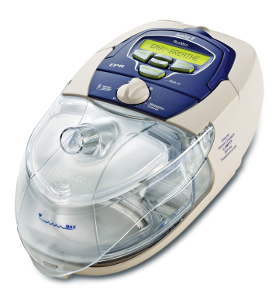 CPAP devices are used as the best form of CPAP therapy for patients with varied pulmonary/heart complications such as heart failure, COPD, or Obstructive Sleep Apnea. CPAP machines are prescribed by physicians to patients with OSA- Obstructive Sleep Apnea. Apnea, literally translated mans “cessation of breath” and patients with this condition find it extremely difficult to get a good night’s sleep because their breath stops for a few seconds during sleep. At this point, the patient is awakened and having such a troubled and disturbed sleep is a major concern regarding their entire well-being. Patients who live with OSA experience a narrowing of their upper airways, and this in turn leads to reduced oxygen intake into the lungs and blood. The patient is awakened suddenly and this episode can repeat itself several times during night. Luckily, CPAP machines offer the best relief for patients with obstructive sleep apnea. The machine helps the patient breathe less effortlessly and thus sleep comfortably without being awakened suddenly by a sensation of gasping for air or a sensation of choking. CPAP therapy is generally indicated in the case of patients with moderate to severe sleep apnea, but also CAD (Coronary Heart Disease), COPD (Chronic Obstructive Pulmonary Disease) and heart failure patients. The most modern and high end technology CPAP machines are lightweight, quiet and they are equipped with extra features such as a heated humidifier, many setting options and even the possibility to store data on an SD card for the physician to monitor better the treatment. There are CPAP machines which have air pressured that are automatically adjustable, and there are CPAPs which have dual pressure adjustment levels- one pressure level for when you breathe in, and another setting for when you breathe out. The role of the CPAP machines is to provide the patient with a mild pressure which will help preventing airway collapse or blockage. CPAP therapy is regarded as a non-invasive solution to assist with different breathing complications. Often times a CPAP Sleep Apnea Machine can help eliminating the need of intubation (surgical placement of a permanent plastic tube into the airways to maintain them open). Choosing the best fitting CPAP mask is a crucial factor to keep in mind. If the CPAP mask does not fit well, mask leaks could appear. If the mask comes with too tight straps, the mask might cut into the skin causing irritations and facial pain. Discuss with your physician regarding the type of CPAP mask that would fit best your facial structure and your health needs of course. Some patients tolerate only full face masks, while others feel they are obstructed by them so they will opt of for the NCPAPs. If you want to learn more about the CPAP machine technology, please refer to this Wikipedia article with technical information. Nasal CPAP mask with ball cap style straps- these CPAP masks are recommendable for patients who sleep a lot on their abdomen/ on their side because the mask does not have side straps that are uncomfortable. Full Face CPAP masks- these cover both the nose and the mouth, and generally come with side straps. 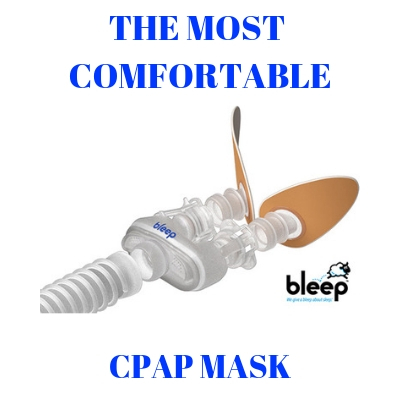 The full face CPAP mask is a good solution for patients with nasal congestion who need to breathe through the mouth as well.